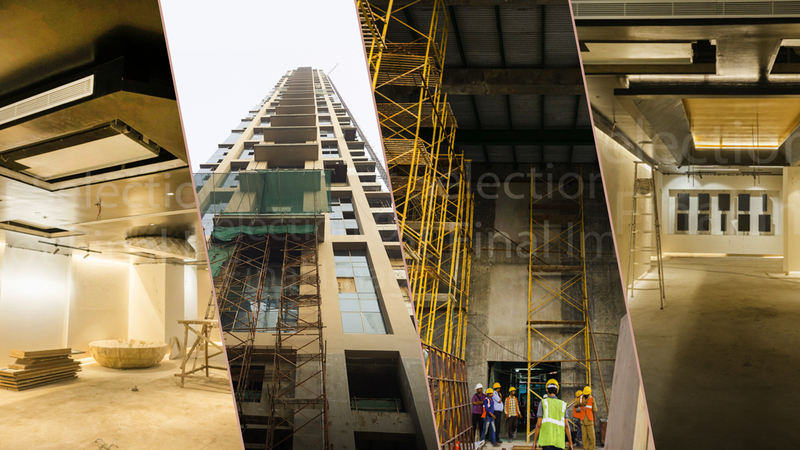 With a driving goal for suave perfection, The 42 is defined as a milestone project in Kolkata. A joint venture by some of the city’s top developers, it is a majestic structure extending to an elevated height of 260 meters. With splendid clubhouse facilities at hand, experience the perfect fusion of home comforts and refined living with its luxury apartments in Kolkata. Reaching new heights, The 42 is without a doubt the dominant tower in the city. It has successfully transformed Kolkata’s skyline. Being one of the most sought-after luxury residential projects in Kolkata, you can expect well-designed interiors and world-class amenities. Moreover, this residential project combines spacious bedrooms, double-height windows, elegant designs, and grand floor plans to make an iconic destination. It has its roots in the location of Chowringhee, an area that is known to provide good transportation connectivity and a scenic view of old & new Kolkata. It is a great location that inherits the old charm of Kolkata and transcends into modernity. One can see famous landmarks on the horizon – the Howrah Bridge and Victoria Memorial for instance. Embracing the rich heritage of the city, The 42 incorporates the aesthetics of modern contemporary living into each of its luxury apartments in Kolkata. Accompanied by these fabulous interior features, The 42 Kolkata presents a stunning glass façade. With a glazing area of 18240 sq. mt., it is comprised of dolomite crystals for a durable exterior. This reduces the intensity of heat and UV rays into each apartment. While posing necessity with a hint of opulence at every corner, it transcends the definition of what we know as a ‘convenient’ lifestyle. With Mr.Hafeez Contractor being the principal architect of The 42, expect nothing less than well-furnished flats with alluring interiors. Each of its ultra-luxury apartments is embellished by top-notch spaces for various purposes. Its generously-sized apartments come with all the modern provisions of a home. With premium flats in categories of 4 and 5 BHK, one can find a master bedroom, storage space, dining room, living room, powder room, pantry and kitchen, and elegant bathrooms. There are also accommodations for maids and other domestic help. Flats are embellished by lofty chandeliers, captivating designs and enchanting colour schemes, adding a touch of splendour to daily existence. Backed by top developers, these are some of the most elegant luxury apartments in Kolkata. Spread over 25, 000 sq. ft., its amenities are a clear reflection of the calibre it has set. Ranging from fitness centres to a games room, one can find all that he needs at one venue. Dissolve your stress in the clear waters of the swimming pool. Lay back in the private theatre and enjoy your favorite films. Experience comfort to the fullest extent with its awe-inspiring spa. Host a great party with friends and family in the banquet hall. Relish in the class that The 42 presents to the city and cradle yourself in the convenience that it brings. 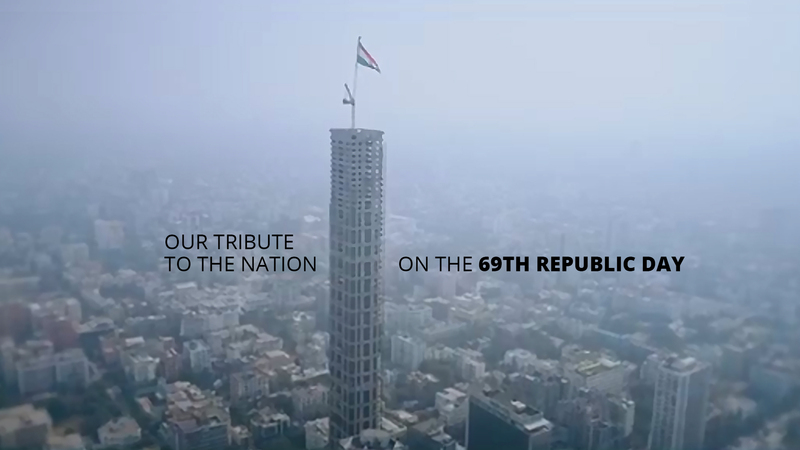 The 42 is the tallest tower in the eastern region of the city and third highest in all of India. 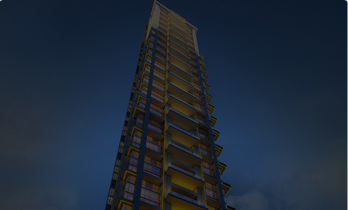 Due to its imposing height, it allows one to have a full 360-degree view of Kolkata. Its floor to ceiling windows give way to an unhindered view of the clear skies and city lights. You can see the city’s various sights in the distance, all from the comforts of your home. Based on its interiors, there are a total of six elevators in the lobby. With its excellence in innovation, there is no need to remember which button to press. Each of these elevators is biometric in operation. Touching the panel will take you directly to your home. Bagging various awards and gaining mass popularity, The 42 is the iconic testament to the splendor of the city. It is clear that it stands out from the rest of the luxury residential projects in Kolkata. Endowed with top-notch facilities, be a part of the plush lifestyle that surrounds The 42.